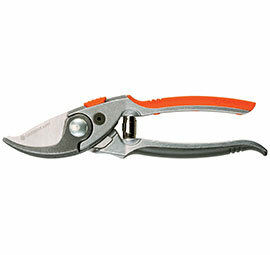 The GARDENA combisystem Branch Pruner is ideally suited for the cutting of branches in high trees. 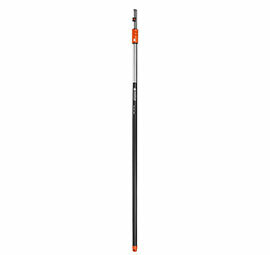 In combination with a GARDENA combisystem Telescopic Handle, branches can be easily cut from the ground, without a ladder, and trimmed up to great heights. This guarantees effortless cutting of branches up to approx. 30 mm in diameter. 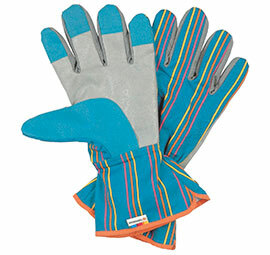 The GARDENA Leather Gloves have high-quality cowhide leather at the spots most used. They protect during heavy work over longer periods of time. 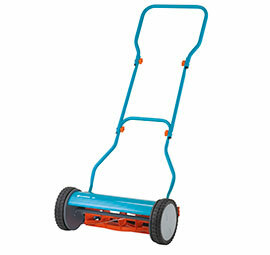 Use them for digging, sawing, chopping or stacking wood. Available in the sizes 9/L and 10/XL. 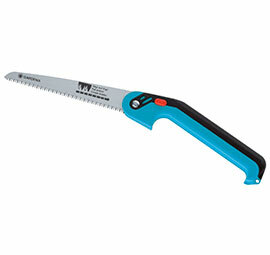 The handy GARDENA Gardeners' Folding Saw 470 is an all-rounder for saw work in your garden. Thanks to the lock for the open and closed saw, it is especially safe to use. The impulse-hardened toothing with triple grinding allows especially effort-saving work. Notching is made easier. 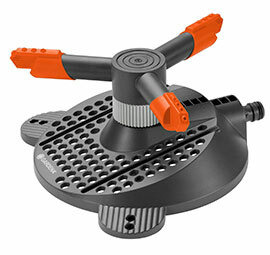 The GARDENA Classic Circular Sprinkler Samba is a convenient sprinkler for small to medium areas. 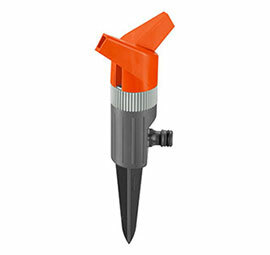 You can irrigate areas from maximum 250 m² with a spray range of 3 m in diameter to maximum 18 m. The sprinkler has swivel. 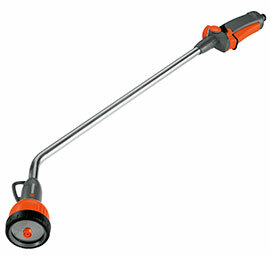 The GARDENA combisystem Telescopic Handle is optimally suited for convenient work up to 5 metres high. Thanks to the handy sliding ring and the twist-free lock connection, the Telescopic Handle can be effortlessly extended in 26-cm steps from 160 cm and 290 cm. This allows pleasant work adjusted to the work situation and body height. This comfortable-to-use premium model is ideal for easy cleaning with the hard jet and for watering with the fine mist. Regardless which spray pattern you take – the water quantity can be infinitely adjusted. 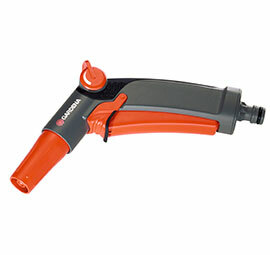 Thanks to the soft plastic elements on the handle, the nozzle lies pleasantly in the hand. 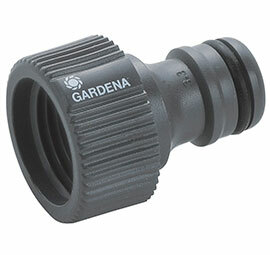 This GARDENA System connector allows the securement of a garden hose to a tap. Easy, problem-free handling is guaranteed thanks to the tool-free connection. 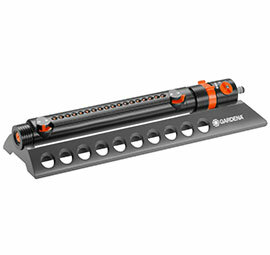 The GARDENA Threaded Tap Connector can be attached to taps with 21 mm (G 1/2") thread. 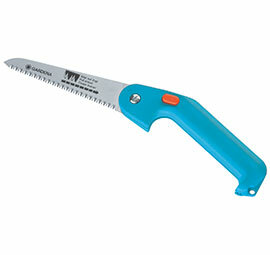 The handy GARDENA Gardeners' Folding Saw 340 is an all-rounder for all smaller saw work in your garden. Thanks to the lock for the open and closed saw, it is especially safe to use. The impulse-hardened toothing with triple grinding allows especially effort-saving work. 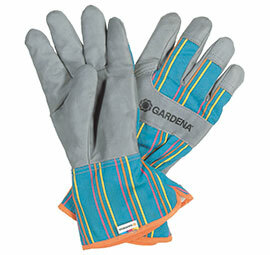 he GARDENA Gardening Gloves are produced from excellently worked cotton fabric, have non-slip, water-repellent coating palms, and are ideal for light garden work and plant care. Use them for raking, cutting or sweeping and protect your hands. Available in the sizes 7/S, 8/M and 10/XL. 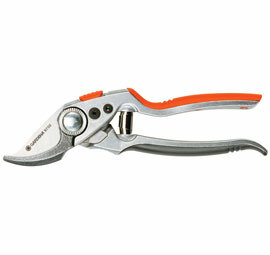 The GARDENA Premium Secateurs BP 50 are high-quality secateurs for lovers of solid cutting tools. The particularly sturdy aluminium handles lie well and ergonomically in the hand. The upper blade is made of stainless steel and is precision-ground, the bottom blade is forged and can be re-sharpened. Thanks to the two holding positions with the profile handles . 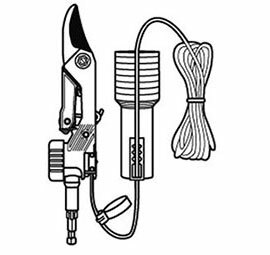 The GARDENA Rose Gatherer comprises four functions in one pair of scissors: it can be used to cut, hold, strip thorns and crush stem ends. 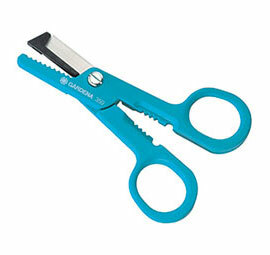 The blades of the scissors are made of rust-free stainless steel. The warranty period of 25 years guarantees highest quality.